The “city” was created in 1907, with it’s roots in the logging industry and is now the outdoor recreation capital of the Lower Mainland. Located at the base of the North Shore Mountains and bordering on Burrard Inlet, North Vancouver is an easy commute by car or bus to Downtown Vancouver, via the Iron Workers Memorial Bridge or the Lions Gate Bridge. 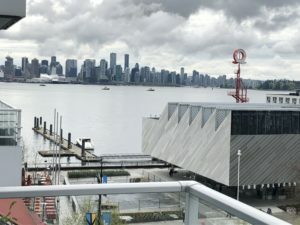 The Seabus also connects Lower Lonsdale to downtown. North Vancouver has varied and diverse neighbourhoods, luxury real estate and waterfront homes and stretches from the Capilano River to Deep Cove. It’s a vibrant community where North Shore residents enjoy year round recreational activities including skiing, hiking, biking and kayaking and is a favourite place for active families and professionals. Unique shopping awaits in picturesque Edgemont Village, Deep Cove and at the popular Lonsdale Quay Market, where Festivals and Farmers Markets take place in the summer months. North Vancouver truly is nature’s backyard playground.